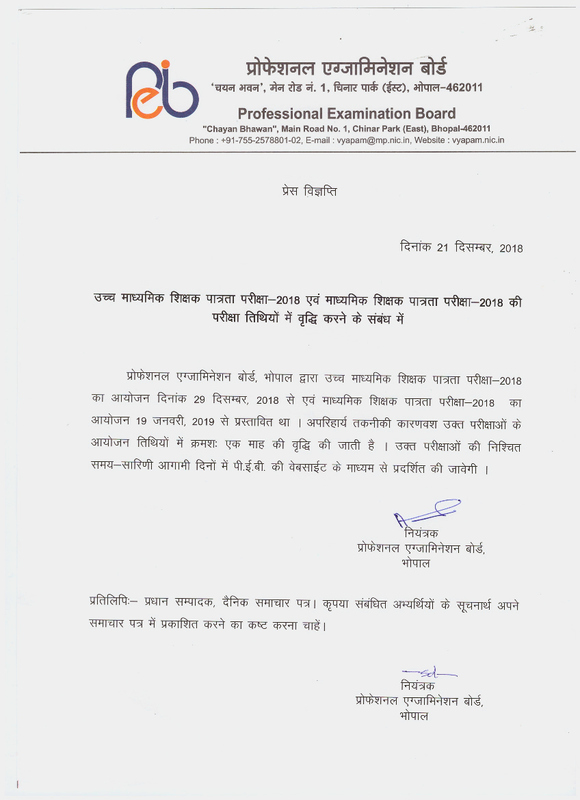 Madhya Pradesh Professional Examination Board MPPEB announced Online Application Form for the Middle School Teacher Eligibility (Madhyamic TGT Teacher) Recruitment 2018-2019, Candidates who are interested in the MPPEB Middle School TET 2018 Completed their All Eligibility Criteria also Read the Full Notification before Apply Online. The last date to apply online 20/10/2018. MP Middle School Teacher Admit Card 2019 announced. Bachelor Degree in Related Subject with Passed / Appearing 2 Year Diploma in Elementary Education. Card, Net Banking, Cash Card, Mobile Wallet.